Sales of English fizz continued to boom throughout 2016, with the number of countries receiving imports increasing by a third compared with 2015. Making up nearly 70% of England’s total wine production, homegrown bubbles were shipped to a record 27 countries this year, up from 19 in 2015. Importers include major wine producing regions such as France and Italy, as well as those further afield in Japan and Taiwan. 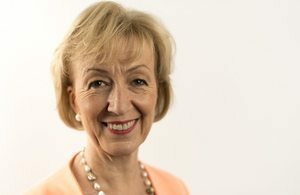 Andrea Leadsom, the UK environment secretary, praised the thriving industry, which she said was on track to deliver a 10-fold increase in exports by 2020. Sales of homegrown wine also doubled at M&S this year, with 50% more sold at Waitrose. Chalky soils and warmer temperatures are to thank for the thriving UK wine industry, which saw sales surpass £100 million in 2015. Today, more than 500 commercial vineyards produce over 5m bottles of English wine annually, with 30 vineyards opening in the last two years alone. Sussex has fast become a hotspot for English wine production, with Defra submitting an application for the region to achieve PDO status late last year. If approved, this would guarantee the authenticity and origin of Sussex wine in the same way as Champagne. Confirming the growing importance of English fizz, this week Kent’s Chapel Down announced a sponsorship deal with the Oxford and Cambridge Boat Race, taking over the spot from Champagne Bollinger.